The indoor track and field season is (mostly) over. And that leads us to wonder which athletes have improved the most year-over-year in the 400m and 800m. Two athletes who deserve immediate mention are Gabriel Moronta (800m) and Savion Hebron (400m). I've singled these three out based on their position in the top 50 rankings: Hebron is No. 18 and Moronta is No. 26. Among athletes with two combined performances in their events over the 2018 and 2019 seasons, these two are the nation's most improved among the top 15 athletes across the country. Hebron, a senior from Neshaminy (PA), dropped 3.47 seconds to score a best of 48.56. 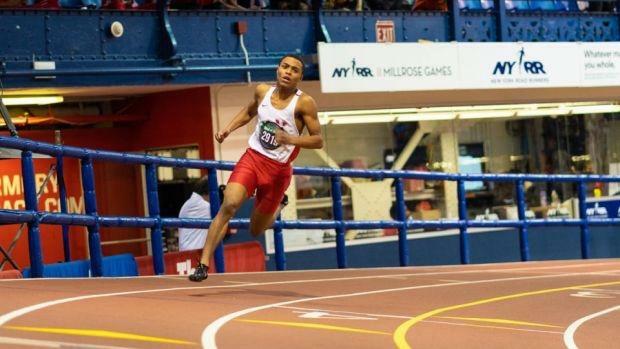 And Moronta, a junior from Pleasantville (NJ), didn't break 2-minutes in 2018 but went down 9.43 seconds to score a best of 1:54.41. Check out the full list below and follow the navigation.